Located in Norfolk County, Braintree, MA is a home to over 35,000 residents, hundreds of local institutions and businesses. When it comes to owning or managing a Braintree, MA property, understanding the complexities and needs of your plumbing system can be difficult – and that’s when everything is working just fine! When you encounter a plumbing disaster, knowing what to do can seem impossible. That’s when Boston Drain Company steps in to save the day. Boston Drain Company is a locally operates and family owned drain and sewer cleaning company. With over 30 years of experience providing quality plumbing services to residents throughout Braintree, MA, our professional plumbers are dedicated to quality customer service. Our team of highly trained plumbing experts will leave your property clean and undisturbed as they provide you with a long lasting and high-quality plumbing solutions. 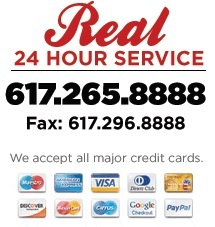 We pride ourselves in providing Real 24 Hour Emergency Service, which means 24 hours a day, 365 days a year you can receive a fast & efficient solution to even the toughest plumbing problems. Boston Drain Company also specializes in preventing plumbing issues from occurring in the first place. We offer a number of preventative services such as annual inspections and maintenance to detect underlying problems at the source, as well as highly effective video pipe inspections. Contact us to learn more about the variety of plumbing services available in Braintree, MA or to request your FREE estimate. Sewer & drain cleaning for toilets, sinks, showers, tubs, & more.